Originally designed for fitness applications (previously known as the Cloud Pumpstation system) the renamed Cloud Electronics CAM-16 Headphone Distribution System and CAS-16 Headphone Distribution Sub-System more commonly find themselves specified in CCTV control rooms, live broadcast operations rooms and hospital/healthcare centres. 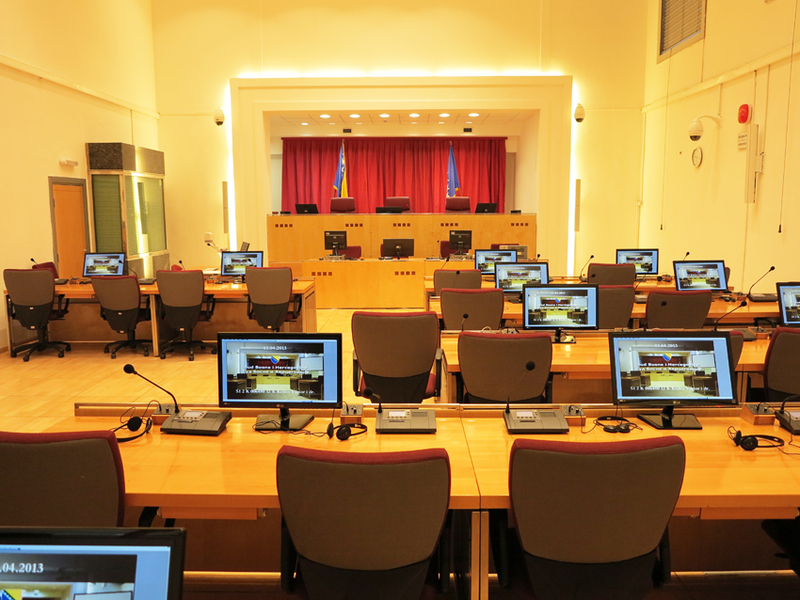 In a recent installation during 2013 at the Court of Bosnia and Herzegovina in Sarajevo the Cloud Electronics CAM-16 and CAS-16 were specified to provide multi-language facilities for all courtroom attendees in both of the official courtrooms. 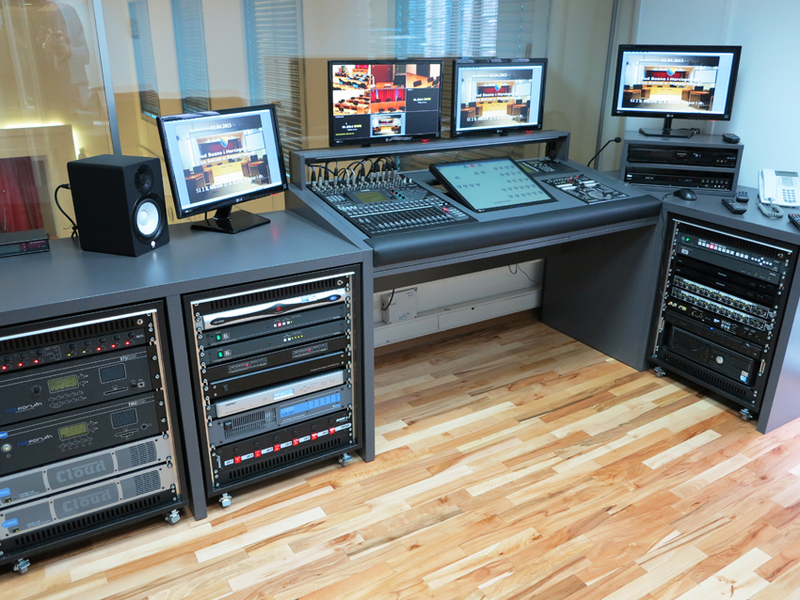 The control room, overlooking both Sarajevo courtrooms contains the CAM-16 and CAS-16 systems. 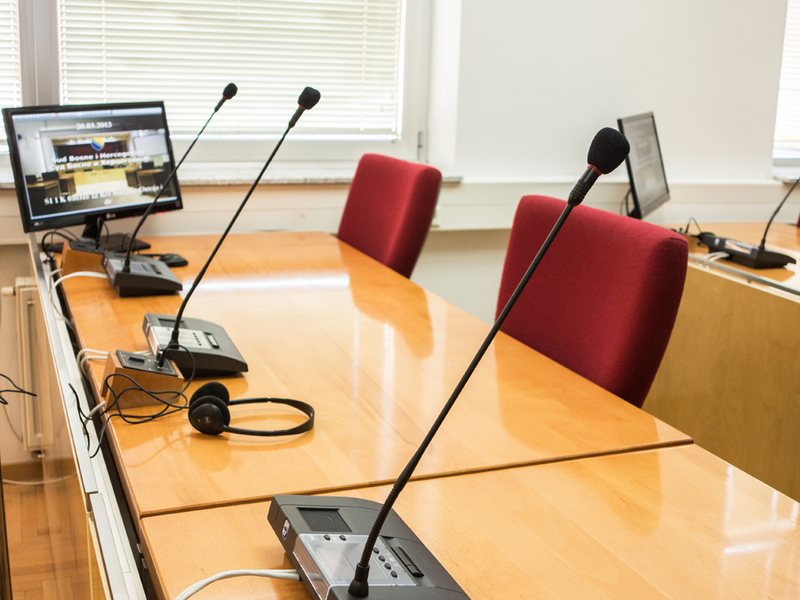 These are fed at any one time with up to eight live translations of events as they occur in each courtroom. The audio from these feeds is then distributed via screened Cat5 cables to each of up to 32 desks, where listeners can select via the Cloud Electronics WP-8 Selection Plate the language they prefer in each courtroom. A Cloud Z4 MKII Zone Mixer and a Cloud CX-A6 Amplifier also provide background audio to a number of Bose MA-12 loudspeakers in each courtroom. The installation was designed by Haris SadikoviÄ at Rasa D.o.o who commented ‘ Cloud Electronics products were chosen for their quality, flexibility and reliability’.